A senior Pakistani scholar declared on Sunday that the Yemeni people’s refusal to submit to the Houthi militias marks the beginning of the end of Iran’s hegemony over their country. Head of the Pakistan scholars council Tahir Ashrafi said that Yemen was now on the verge of a historic moment in which legitimacy will be victorious against terrorism. The ongoing clashes between the Houthi militias and supporters of former President Ali Abdullah Saleh demonstrate that the Iranian agenda in Yemen is collapsing, he added in a statement. The council noted that the Yemenis rejected the Iranian terrorist sectarian plot, which will bring an end to the phase of destruction and chaos. The Pakistan scholars council hailed the efforts of Saudi Arabia in Yemen and its relentless defense of legitimacy in the country. “Today, we witness the success of the Arab coalition against the Iranian plot in Yemen,” said the council. The statement noted the economic and humanitarian aid that has been sent by the Kingdom to the Yemeni people. In a scathing attack against the Houthis, Ashrafi accused the Houthis of stealing public funds, tearing apart Yemen’s social fabric and following a plot to transplant the Khomeini agenda in Yemen. All of these points have led to their demise however, he remarked. Yemen is the Arabs’ Afghanistan. I strongly doubt an election can solve the country’s problems. Frankly, the only things worth caring about there are the heritage sites. You people can’t see the forest for the trees! Iran has already won in yemen! 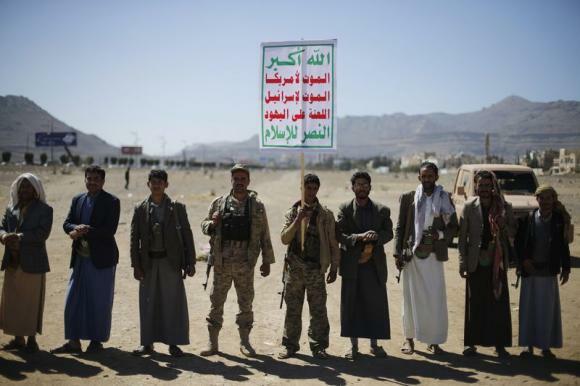 “Iran has already won in Yemen!”…. When has Iran announce the news?